UPDATE: Due to a possible weather threat, the venue has changed to First Presbyterian Church, 110 N Adams St. Please join us as we come together with all those in the Tallahassee LGBT community this evening for a vigil to honor victims and all those impacted by the tragic shooting this weekend at Pulse Nightclub in Orlando. Participating organizations include Equality Florida, Capital Equality, The Family Tree, the Islamic Center of Tallahassee, Mickee Faust, the Tallahassee LGBT Greek Council, and the City of Tallahassee. Remarks will be made by members of these organizations, as well as Mayor Andrew Gillum. 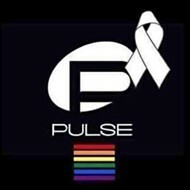 The vigil begins at 6:30pm on the steps of the Old Capitol. In the event of rain, the location will move to First Presbyterian Church, 110 N Adams St.